WiiWareWave feature contributor GamerZack87 has taken on the task of creating a series of "mini-adventures", each with three worlds covering one of the four style themes of the software. In this article, he showcases each stage in the second adventure, complete with hints and tips, as well as the opportunity for you to say which of the stages you'd most like to play. Who knows, he might just upload the most requested stages to Course World for others to try for themselves! Undaunted by his last defeat, Bowser immediately springs into action, forming another dastardly plan to conquer the Mushroom Kingdom by capturing new locations. However, the Toad Brigade has followed the evil tyrant back to his own kingdom, and is able to warn Princess Peach of Bowser's new plot. Without a second thought, Mario immediately leaps into action to put a stop to Bowser's plots before they even have a chance to commence! No sooner does your adventure begin than something peculiar happens. It seems this area may be influenced by a mysterious link to another world, as motifs and areas from it bleed through into the Mushroom World! You soon find yourself in a deep cavern located...in the sky?! Be sure to seek the Golden Power at the end of the level, which could give you Wisdom to identify the strange creature guarding the goal. Find Courage and go for it! World 1-2: What's the Buzz? You've found yourself in a Buzzy Beetle breeding ground! Make your way through the tunnel to escape, but watch for angry bugs dropping from above! Perhaps you can find some protective headgear...? Oh no, not an auto-scrolling level! 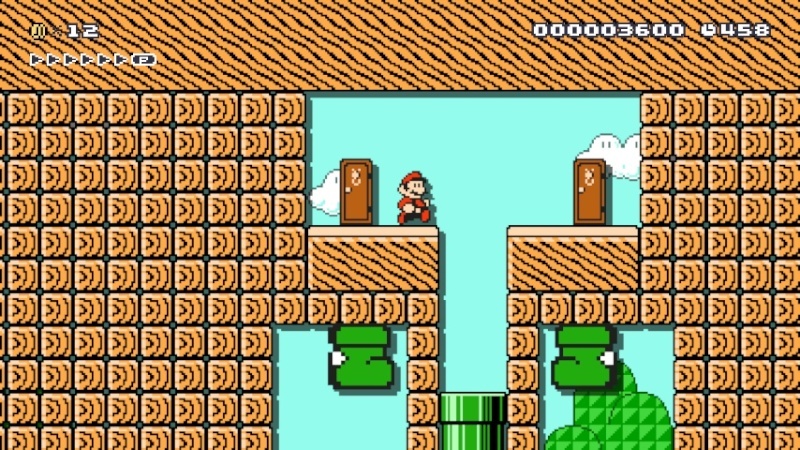 This will be a test of your skill, so keep jumping across the platforms. Watch out, though, as some of them are unstable, and will begin to fall the moment you land on them! An enormous chasm could prove quite an obstacle, but a nearby ? Block might just have the solution... 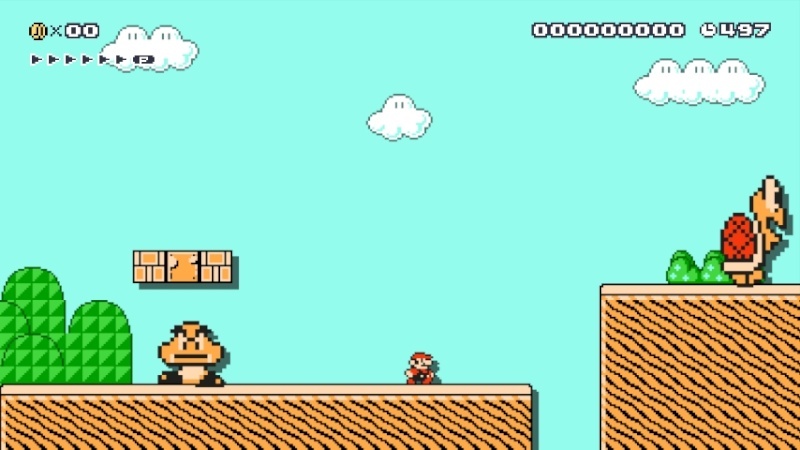 There's only one enemy in the level, which just goes to show exactly how rushed Bowser's plan has turned out! Bowser Jr. wants a rematch, and this time it's not gonna be easy! 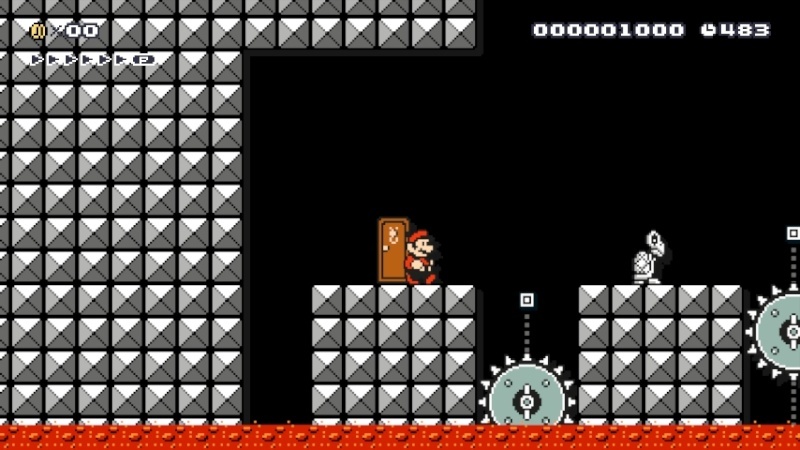 He's filled his brand-new castle fortress with Spike Traps and Grinders, which means a tough challenge for you to face. 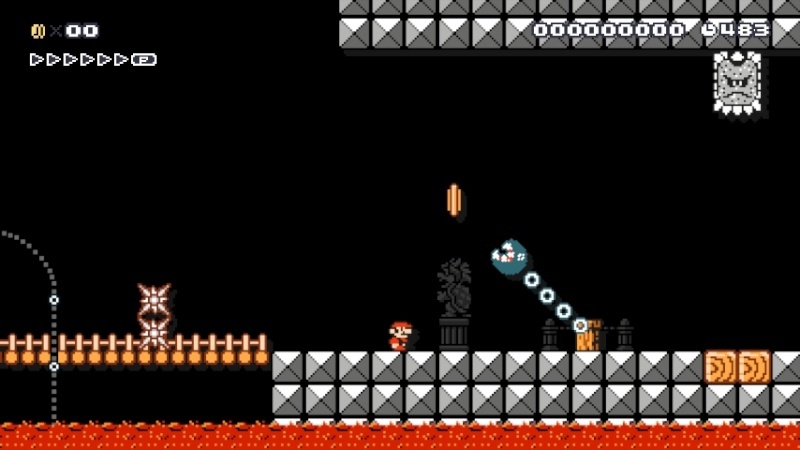 The Koopa Prince has even learned a few tricks of his own, as he now sports a pair of wings and throws mighty hammers at you! Can you beat the evil Bowser Jr. once again? Welcome back to Giant Land! It's an assortment of enormous foes you'll face here, from Goombas and Koopa Troopas to a well-hidden Piranha Plant. 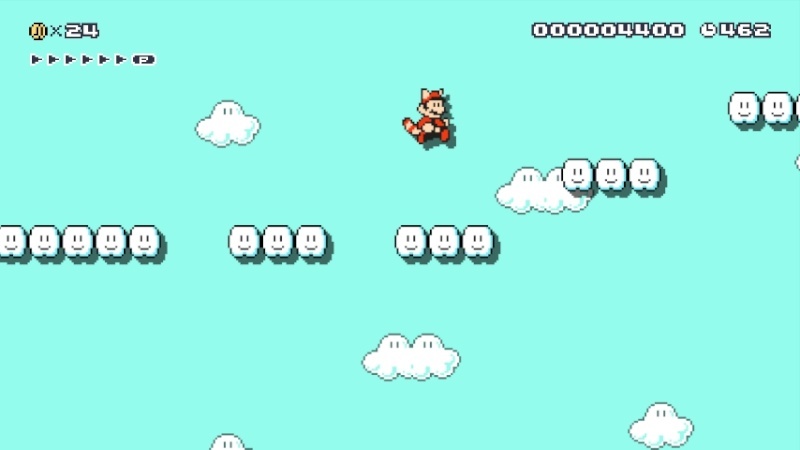 As you approach the end of the level, hop in a Lakitu's Cloud and make a beeline for the panel, but be quick, as the cloud will vanish after a short time! Some Lakitus do their bit to throw you off, dropping an assortment of giant foes in order to stop you! 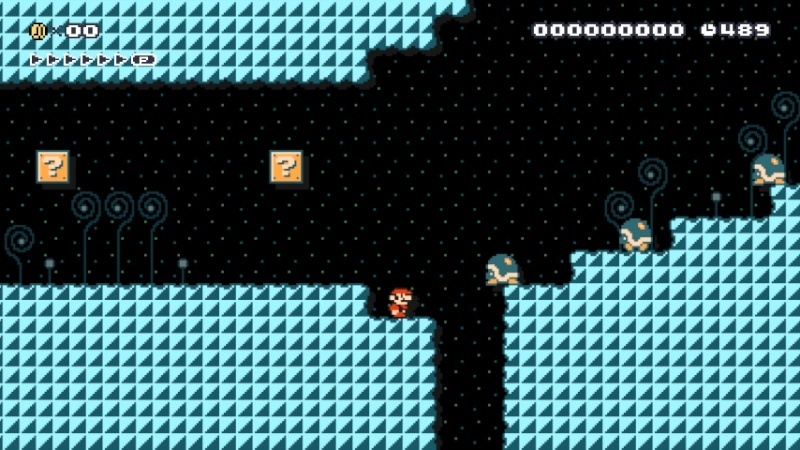 World 2-2: It's All Mines! 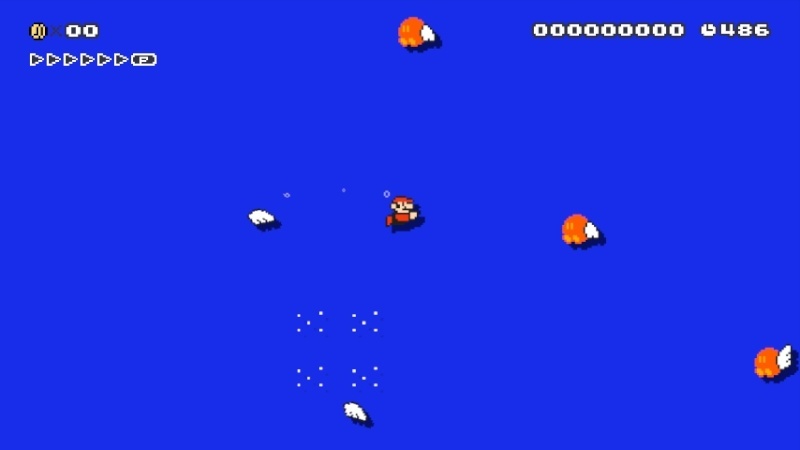 It's an underwater minefield! Make your way into the underwater cavern, avoiding the Angry Parabob-Ombs, which are set to explode if you get too close! 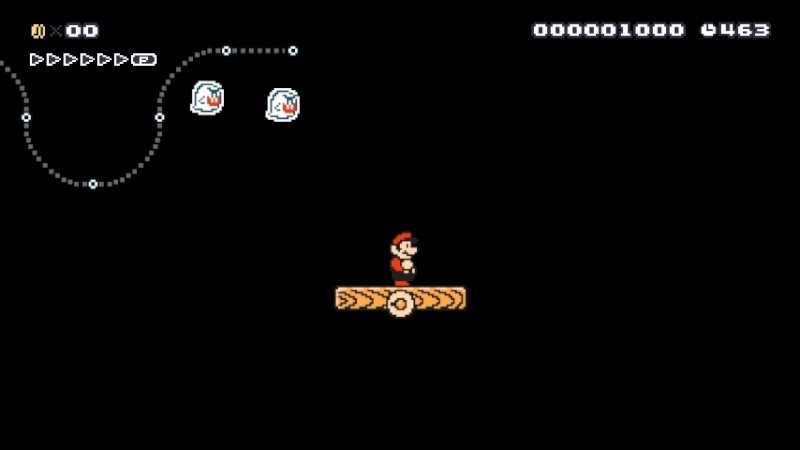 A conveniently-located Warp Pipe just before the minefield will let you take the surface route, but there are Bob-Ombs there as well! At the end of the stage waits one last surprise, but be extra careful if you don't want to be jellyfish food! It's time to take a journey through the clouds! Knock the Koopa Troopa through the Fire Piranha Plant and strike the Brick Block, but hurry up if you want Raccoon Power! 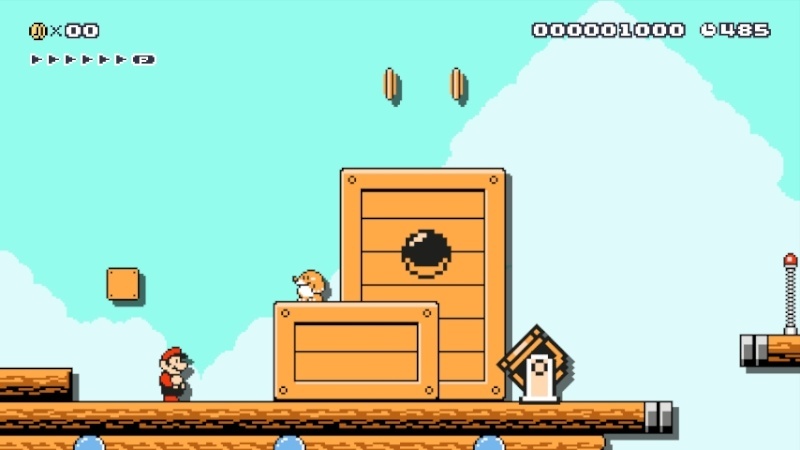 If you miss your chance, try jumping straight up to grab a lone Coin - you'll find an alternative way up! 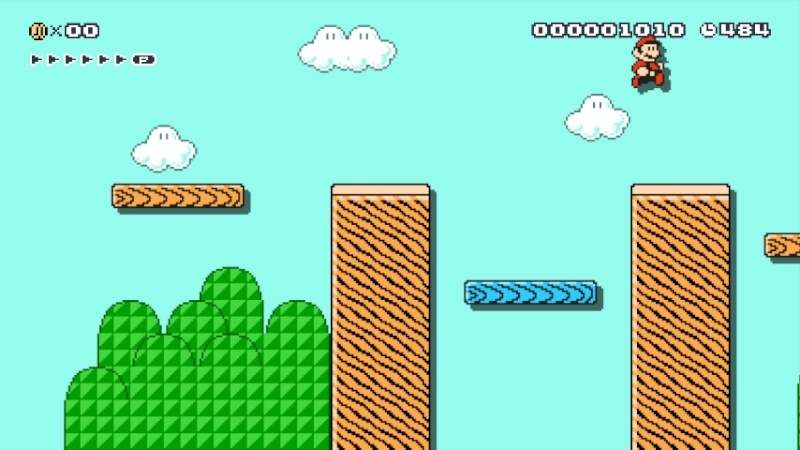 As you cross the clouds, you'll find a very tricky jumping obstacle, and if you brave it, you just may be greatly rewarded! 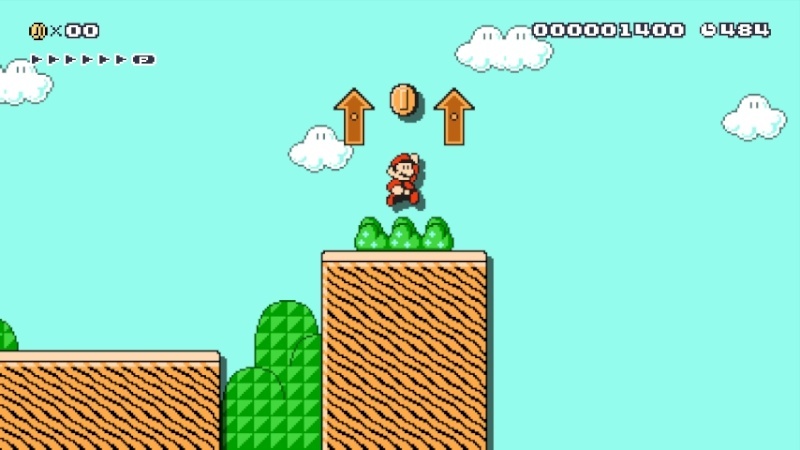 Oh, and one other thing: if you don't like heights, a single Coin can help you bypass the entire stage, but be prepared to face your fear in the process! In what could be seen as an act of sheer stupidity, Bowser has let a team of Big Monty Moles commandeer a fleet of airships...or at least, that's how the rumour goes. Whatever the case, a group of creatures who belong on the ground must not be able to fly an airship, and so it is up to you to stop them! A Fire Flower might just prove useful, but it's in an inconveniently-located spot, so be sure to avoid the obstacles if you want to keep the power to stop an octet of outrageously-nasty moles! It's the Grand Opening of Goomba Land, a Goomba-themed amusement park which, to be honest, may be little more than another means to stop you. It features five attractions, including Entrance Land, Garden Land, Funhouse Land, Cave Land and the curiously-named See You Next Time! Land, and each one is filled with Goomba-y delight! Shoombas can be found in some areas, allowing you the opportunity to grab a Goomba's Shoe of your very own. Grab a randomly-chosen card in See You Next Time! Land just before you leave, and remember to tell your friends about this place! You're trapped in a Ghost House...again! It looks like the only way out is to take the Boos' thrill ride, so keep your hands and feet in the centre of the platform. Remember: the operators of the ride aren't responsible for any injury - or worse - that happens as a result of disobeying the rules! After the ride, you'll need to make your way through the door to leave...but will you escape, or remain trapped within these walls? KEHEHEHEHEEH! It's time to take a shortcut through the clouds. 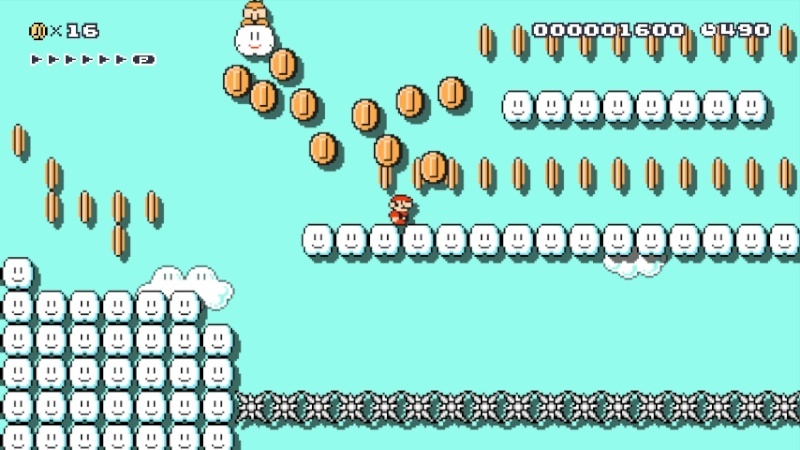 In this area is a hidden treasure-trove of Coins, enough to stock up with several 1-Ups! But don't get too greedy, otherwise you may just lose your only fluffy-white means of traversing to the exit! You've returned to Bowser's Castle, but be ready, for the Koopa King has prepared an even more dangerous selection of traps than before! Facing the tyrant will also prove to be tougher: not only has he grown to a colossal size, but he now has the ability to ground pound you into a Mario pancake! Can you defeat the evil turtle once more? Great article as always Zack, my friend.